For years, I have loved the classic Burrito Bowl from Chipotle. The thing is, it can be high in points, as well as a long drive to get. 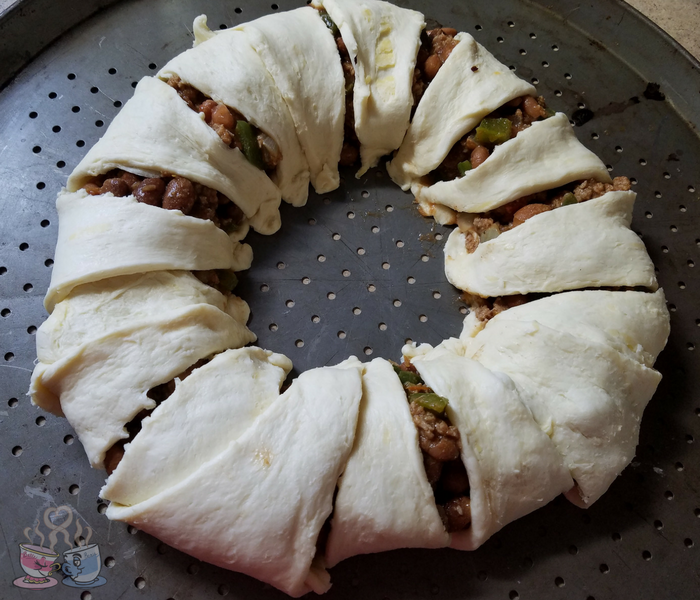 This Burrito Bowl Crescent Ring is a simple but flavorful option that is a great recipe everyone loves. 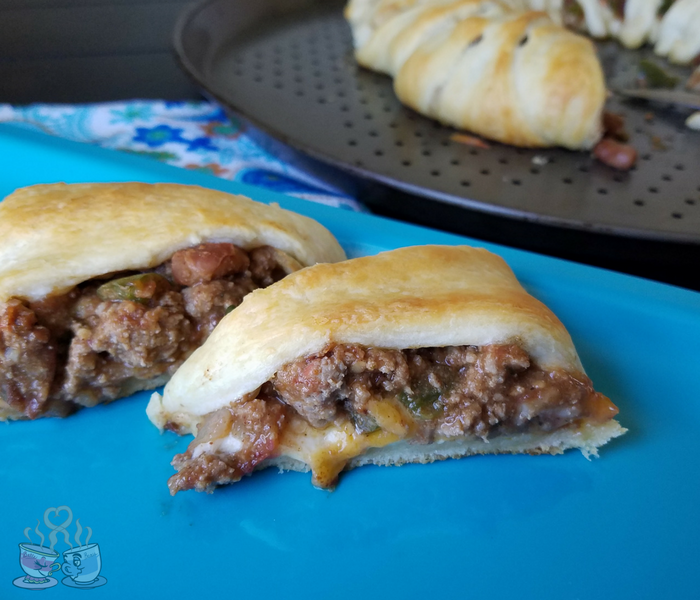 By using seasoned beef, beans, vegetables, and fresh salsa, I can create the bowl without the rice, but housed in the crescent rolls making it an easy to make and eat the meal we all enjoy. This post contains affiliate links from Amazon. I may earn a small commission via purchases you make through these links. 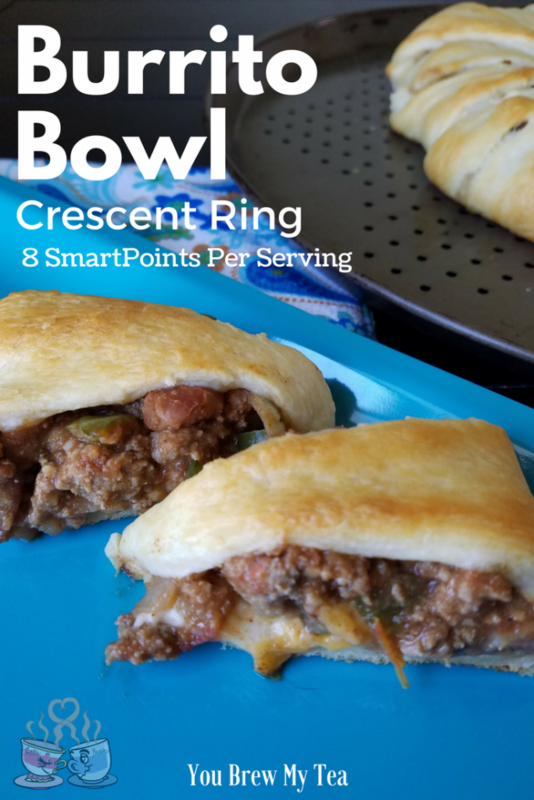 The crescent ring recipes have become a favorite in many houses. It makes something easy to pick up and eat, portion, and well, kids love to eat this. 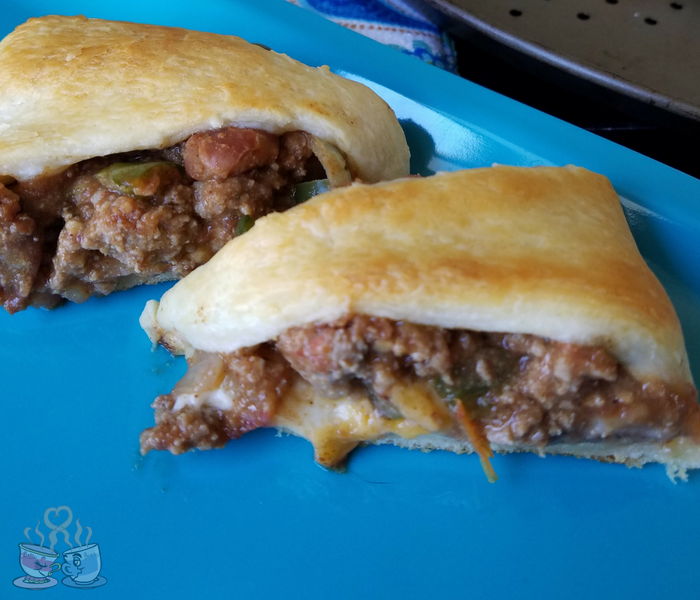 So, while I tend to avoid using processed bread if I can, this is one of those meals that just has to hit our menu plan from time to time. In a large skillet, heat olive oil. Add in the ground turkey and cook until mostly done (5-7 minutes). Mix in the bell pepper, onion, chili powder, cumin, and chipotles in adobo sauce. Stir, making sure to mash chipotles as needed, and cook for additional 5 minutes. Remove from heat and mix in pinto beans and salsa. On large baking sheet or pizza pan, place crescent rolls with the wide end in the center in a circle as shown below. Half the sliced cheese, and place around the center of the ring on top of the crescent rolls. This will go under the mixture. 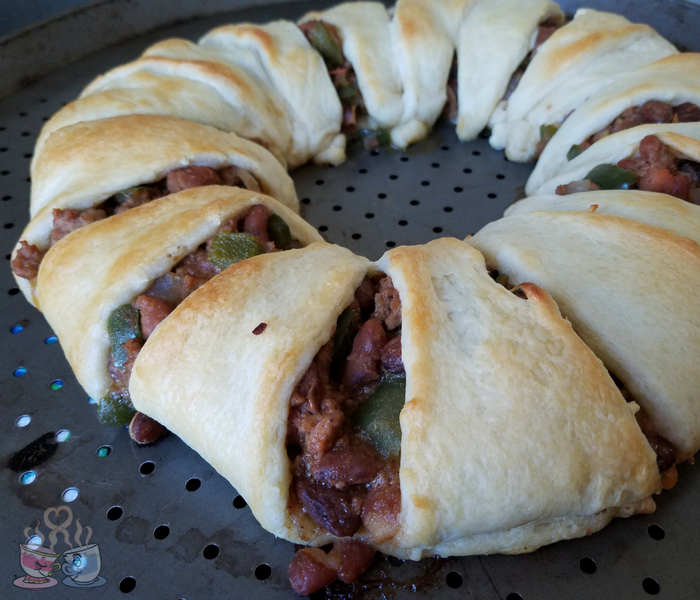 Using a spoon, place cooked meat and bean mixture onto the wide, overlapping, crescent roll around the center. Fold the smaller end of crescent rolls back over the mixture and connect in the center making a ring. Bake at 350 degrees for 20 minutes or until golden brown on top and the dough is cooked through. Allow to cool, then slice into portions and serve. Can serve with lettuce, tomato, salsa, sour cream, or guacamole to garnish. While I am not affiliated with Weight Watchers, I have been on the SmartPoints system since December 2016. Of all the diet plans and lifestyles I have tried to improve my health, this one has been the most consistently easy to manage. I’m never limited on flavor or variety, and can still enjoy so much of what I loved before. 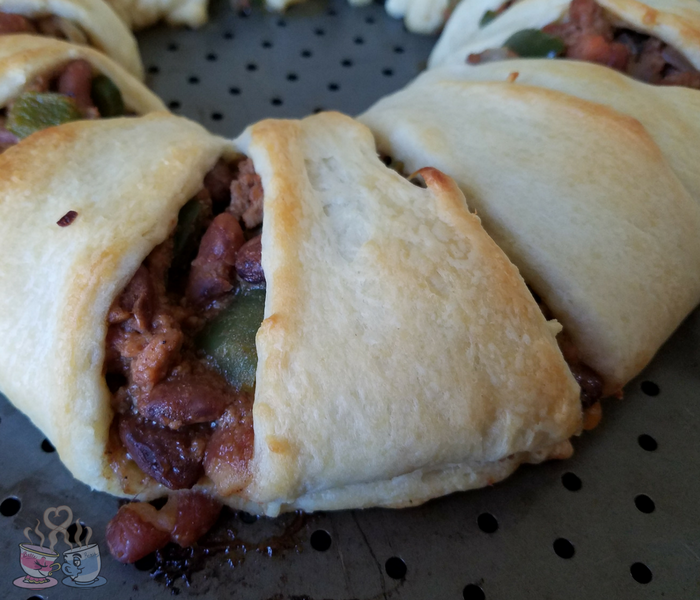 This recipe was calculated using the Recipe Builder within my Weight Watchers dashboard. You can also check out the Weight Watchers SmartPoints Calculator as a lower cost method of following the plan without a monthly fee. 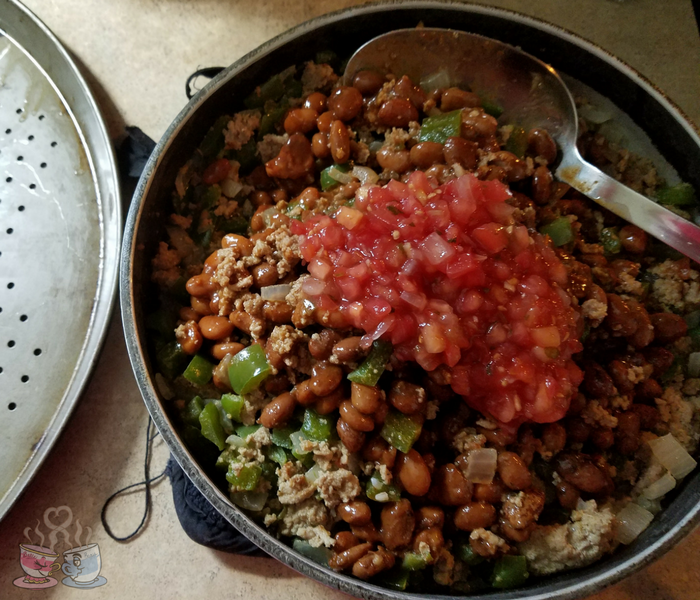 This Burrito Bowl Crescent Ring has tons of flavor and is an easy meal that the whole family loves. 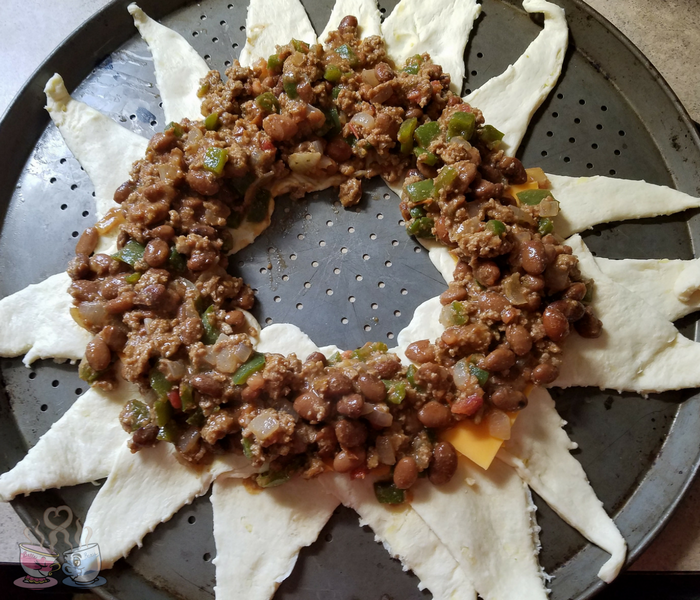 if your kids prefer a bit less spice, you can easily leave out the chipotles and simply add a more traditional taco flavoring to the ground meet mixture.